The curse (and the blessing) of United being so quickly and rudely knocked off their rediscovered perch atop the Premier League ahead of an international week is supporters have a fortnight to neurotically obsess over whether the 3-0 schooling at the Emirates was an anomaly (fingers crossed) or a disturbing reality check (hopefully not so much). Two weeks to second-guess the manager’s decision to start the–shall we say–pedestrian tandem of Michael Carrick and Basti Schweinsteiger against Arsenal’s fleet-footed attacking five. Two weeks to wonder what is missing from Louis van Gaal’s squad. For me it’s the type of player who flips the switch. Top clubs have rosters filled with talented players who can and will play the manager’s system. Elite sides have at least one who knows when to tear up the script and improvise with positive results. In Pep Guardiola’s Barcelona dynasty it was Lionel Messi. Xavi, Iniesta, et al would tiki-taka the ball around the pitch for the majority of matches, spreading out defenses until Messi, likely bored senseless, decided it was go-time. Dribbling through five or six opponents he’d attack the box and put the ball past a helpless goalkeeper. United once had a similar player, if they played a much different system than Barcelona under Sir Alex Ferguson. Of course I’m talking about Eric Cantona. These days that player should be Wayne Rooney. He certainly deviates from Louis van Gaal’s system with alarming frequency. The problem is when Rooney flips the switch for United the lights go off rather than on. He comes back for the ball, no one fills the space he’s vacated, and the movement stalls. Someone else is needed to spark the attack. Happily that player needn’t be a Messi or Cantona. He needn’t even be a forward. Bayern Munich under Pep Guardiola has adopted a form of tiki-taka which has allowed them to dominate the Bundesliga even more than usual. 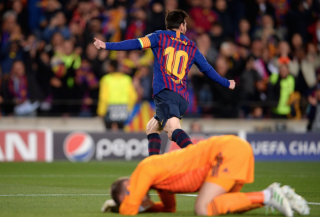 The Rekordmeister’s version of Messi–Arjen Robben, who is a very credible imitation when healthy–has been unavailable for too many critical European matches. Sensing another, edgier, dynamic was needed if he was going to join contemporaries Jose Mourinho and Carlo Ancelotti as a manager who has won Champions Leagues with multiple clubs, Pep convinced Bayern president Karl-Heinz Rummenigge to sign Arturo Vidal. The Chilean is not one to casually kick the ball around to lull opponents into a trance. Himself a very credible imitation of Cantona, he is more likely to bludgeon foes to death with direct attacks on goal. Whether this version of switch-flipping will bring Guardiola renewed success in the Champions League remains to be seen but a similar player could push United to the top of English football once more. One positive from a longtime supporter’s point of view in regard to Louis van Gaal’s approach with United is, unlike Pep Guardiola, he has not abandoned his new club’s traditional playing style. 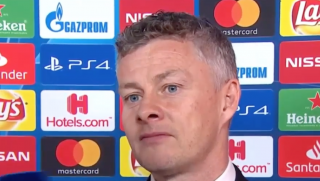 He has publicly stated a preference for technically gifted players but rather than installing a form of Cruyffian total football similar to his sides at Ajax and Barcelona LvG has emphasized attack from the flanks, long the modus operandi at Old Trafford. Further with the additions of Schweinsteiger and Morgan Schneiderlin crowding a midfield already boasting Michel Carrick, Juan Mata, Ander Herrera, and Marouane Fellaini, he would in all likelihood consider someone like Vidal one attacking mid too many. On the other hand the Arsenal result illustrates the squad’s need for an effective destroyer. Upon his hiring that need was specifically identified by the media. Speculation was Marouane Fellaini, already at the club, or Nigel de Jong, who had enjoyed something of a renaissance with l’Oranje in Brazil under Van Gaal, would assume the part. When he played the role at Everton, the Belgian was effective for stretches but would occasionally disappear, a likely reason his new manager has employed him almost exclusively in attack. Conversely, De Jong’s tenacity inevitably crosses the line, exposing him to a dangerous amount of bookings, not to mention suspensions. Roy Keane, in his time at United, posed a similar though not so frequent risk. As well the outspoken Irishman was capable of bombing forward in attack, a dimension De Jong doesn’t possess. Given deficiencies in each prospective player and the endangered species status of the destroyer in the modern game perhaps Van Gaal thought there was no one who could fill the need and opted to try alternative methods to stem opposition attacks. Arsenal are certainly happy with that decision. There is at least one player who checks all the boxes which would give United a player who could flip the switch from a deep lying midfield position and perhaps even provide a bridge between the manager’s preferred tactics and Wayne Rooney’s instinct to come back for the ball. His name is Michael Bradley. Yes the Michael Bradley who fell out of favor at AS Roma, chose to return to North America to play against much lighter opposition, had a poor World Cup in Brazil, and is–gasp!–American. Yanks are not highly rated for reasons which range from a poor youth program stateside to the notion US athletes are better with their hands than their feet, making the only good American footballers goalkeepers. Brian McBride, Clint Dempsey, and Landon Donovan would take exception to the latter stereotype. Of course all three are over thirty and retired now, even if Dempsey isn’t aware he is as he underachieves for Sounders FC in the Pacific Northwest. Bradley, however, is just twenty-eight and has been the USMNT’s engine for the past six years, excepting the 2014 World Cup, when Jürgen Klinsmann inexplicably attempted to deploy him at the tip of his midfield diamond rather than the base. After earning a strong reputation at Borussia Mönchengladbach and Chievo, Bradley enjoyed a good start in the Eternal City before an injury halted his progress. Upon his return Luis Enrique had assumed the club’s reins, installing the Barcelona style. A marauding defensive mid didn’t dovetail with that system. Reportedly there was interest from other European clubs but Bradley preferred to come back to North America, ostensibly for family reasons and a desire to give back to the game by helping MLS grow into a more competitive league. It’s also possible, though, he wanted to be part of a contending side rather than a mid-table one. 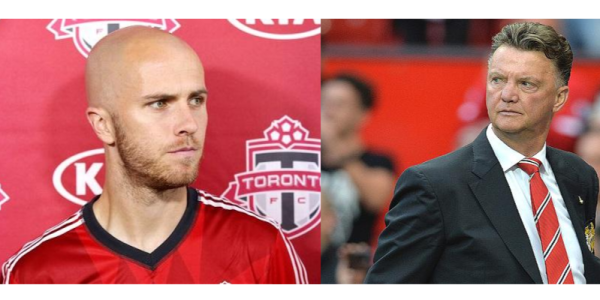 In his second season at Toronto FC his club is on the verge of its first playoff appearance, with Bradley, Sebastian Giovinco and Jozy Altidore forming a strong core. When parked in front of center backs the man who, like Rooney, captains club and country is tenacious off the ball. 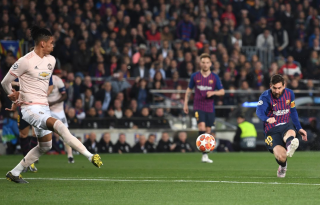 When it’s at his feet he has both the vision to choose the right pass to begin the attack and the moment to bomb forward to achieve the same goal. His diagonal balls would be ideal for both Memphis and Juan Mata. If Rooney came back as Bradley surged the latter would deliver the ball then continue his run into the box looking for the return pass and an opportunity to score. His work rate is such he typically outruns his teammates by a significant margin. As well he is dangerous taking set pieces within range of goal. Only in the second year of a five to six year deal paying him slightly over £80k/week he would be difficult to pry loose from MLS if Louis Van Gaal were willing to consider him. His style would add another dimension to the United attack, however, a threat up the middle which would force opposing defenders to play more compactly, freeing up space for Memphis, Johnny Kills, and overlapping fullbacks. The chance to play for an elite club, regularly competing both for a Premier League title and a Champions League crown, may be just the motivation that would encourage him to return to Europe. His signing would be in the same vein as bringing in Schweini, a natural leader and game manager with experience in top European competitions and the World Cup. The difference would be the American is in his prime rather than past it, and possessing an aggressive style that would place incessant pressure on opponents. If one is willing to ignore Bradley’s nationality, the tactical deficiencies of his current national coach, the level of competition in which he currently plays, and the unnatural size of his cranium, focusing instead on his work rate, enthusiasm, leadership, vision, and technical skill, he might turn out to be the missing piece in a resurgent Manchester United. All that’s required is a certain Dutchman with an open mind.